On February 6, 1895, Babe Ruth was born in the small three-story home at 216 Emory Street. During the late 1960s, concerned citizens became worried about the house’s fate and organized a community effort to protect Ruth’s birthplace and three adjoining rowhouses. With preservation efforts languishing, the City of Baltimore purchased the properties and in 1973 the Babe Ruth Birthplace Foundation was established. In 1974, the four rowhomes opened as museum and shrine to the Baltimore baseball legend. 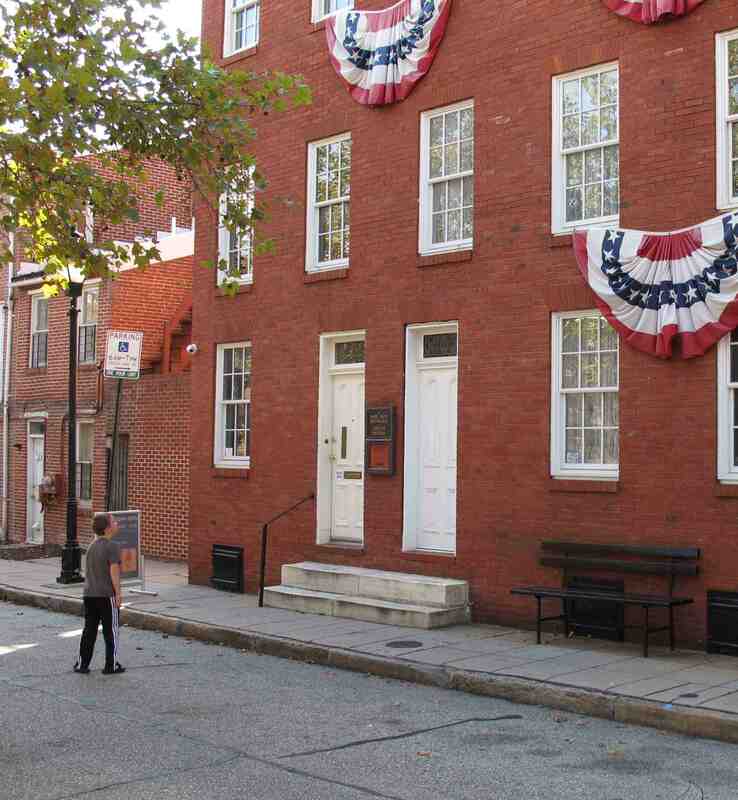 After more than 40 years of operation, the Babe Ruth Birthplace Museum was in need of major infrastructure repairs and renovations to improve visitor services and accessibility for those with disabilities. To accommodate the repairs, the museum needed to close to the public for four months, losing much needed revenue from both admissions and sales from its gift shop. In 2015, the Babe Ruth Birthplace Museum was awarded $6,250 in a BNHA Heritage Investment operating grant to support the museum’s operations during its period of closure. The funding helped to meet operating expenses and allowed the staff to develop new exhibitions and public programming for the renovated facility. Today the Babe Ruth Birthplace Museum is open and more easily accessible to all visitors. The museum now has an ADA-compliant entrance and accessible restrooms, an elevator, and other improvements for safety and code compliance. In honor of the Sultan of Swat’s 122nd birthday, take a swing by the museum on Emory Street to learn more about the legend and how Baltimore helped shaped the nation’s pastime.